Wisconsin Literacy wants to congratulate all of the participants in Latino Academy of Workforce Development’s Bilingual Construction Program on achieving employment at family sustaining wages! The participants not only earned 4 technical certification to enhance their employability, but it was their dedication to the program and themselves that granted them full time employment in an in-demand industry. 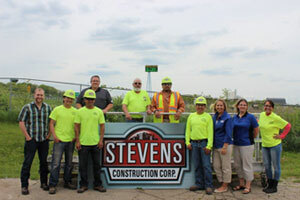 Latino Academy sends out a huge thank you to their partners in this endeavor, Steven's Construction, Inc. and Associated Builders and Contractors, for sitting at the table and giving their insights into the skills needed to recruit and retain great employees. To find out more about what Latino Academy of Workforce Development is doing, go to their website at http://www.latinoacademywi.org/.